In this article I will be showing you how to remove a specific country from the data in Google Analytics. 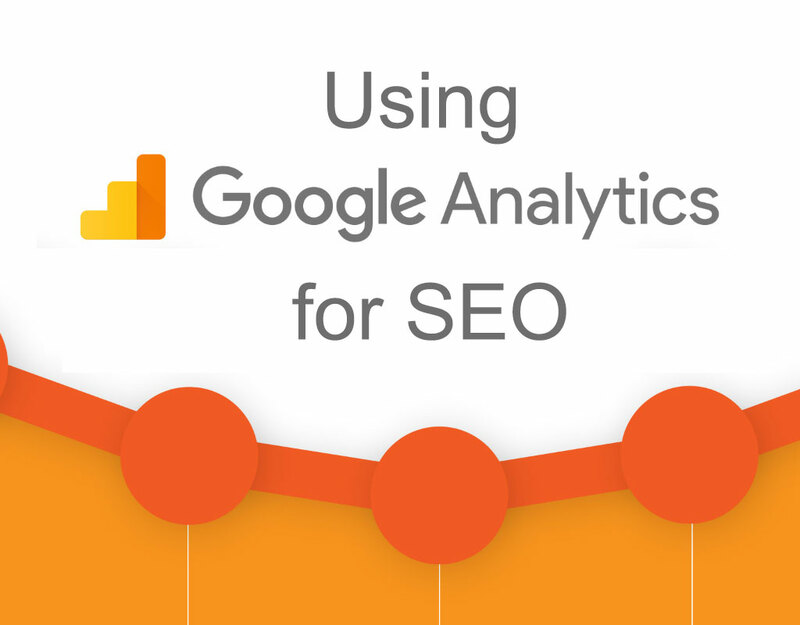 In order to get an accurate picture of how an SEO campaign is working, it is important to measure the amount of traffic coming into your web properties in an accurate manner as well. If you are a business serving a local community, then chances are web traffic coming into your website from a different country will not something that is important for you to watch over. In fact, spam traffic from a foreign country can skew your analytics results if you do not know that it is there. It is important for you to remove this data. You can follow the steps below, or watch the video if to help you visually. 1 – Filter out or exclude specific countries from your Google Analytics account data. Having trouble getting Twitter followers that actually are interested in your posts? This tutorial will be showing you how to achieve just that using Tweepi.com, a free Twitter help site. For these steps you will need a Twitter account, preferably with a filled out profile and a few posts already. You will also need to sign up for a free Tweepi.com account, a Twiiter help tool site. The video shows you all the steps in detail, but here is a breakdown in case I was going too fast. Choose one of those accounts that posts similar things as you. Maximum one hundred a day so that Twitter doesn’t block your account for spamming too many people. Many of the people you followed will follow you back. And because they have already followed an account that is similar to yours, you know that they will be interested in what you post as well. 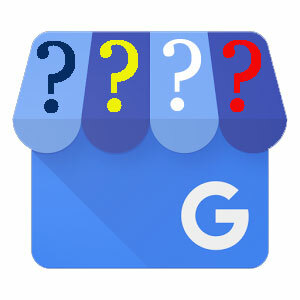 A question commonly asked about local Google My Business (GMB) is the area of how to deal with practitioner listings. Are they allowed? Can I have two listings for the same place, and will it hurt my local rankings? So to clear up any confusion, I have decided to put this post up to explain exactly how to deal with the various types of Google Listings. We will start with the basics. If you are unsure of some of the more general guidelines on how to setup a listing, here is the Google Help file on that issue. Otherwise, keep on reading…. A practitioner listing is a listing on Google that is for a person instead of the name of a business. An easy example to explain would be those listings of health practitioners such as dentists and doctors. A dentist owning a dental office would technically be able to have two listings, one under the business name, and for himself/herself. Other industries where this happens frequently are law firms, financial planner offices, and real estate agents. Basically anywhere where multiple professionals are working together in the same place. Practitioner listings are not considered to be duplicates and Google will not remove them or merge them together. A review made on a practitioner listing will not automatically show up on the corresponding business listing. They are considered separate, and most likely stay that way. If there is only one practitioner in an office, then Google specifies that only one listing should be created and that it should have this format: [brand/company]: [practitioner name] For example: Cool Dental Office: Dr. Cool McCool. If There Are Already Two Listings – Should You Ask Google To Merge Them? This might vary depending on a few factors. For example, if you are in a smaller market it might be advisable to keep the two listings as separate. It shouldn’t be difficult to get at least one of the listings in the top three pack. That way you have a chance of showing both of your listings near the top. This is especially true if both listings have good ratings and reviews associated with them. However, if you are in a larger city or more competitive market where there are many businesses of your type nearby, then having two separate listings might not be the best idea. Reviews might get split between the two listings from your customers, and so neither one of them will have sufficient ‘juice’ to get into the top three pack. It’s best in this case to ask Google to merge them together to get one powerful listing instead of two weaker ones. In the case of an owner where multiple professionals are in the office, the best way to deal with Google listings can get complicated. But in general, it’s best to try to focus all the reviews and ratings on the main business listing, and not on the practitioner listings. For one, you wind up with the situation described above, where you have many weaker listings instead of one strong listing. This might be detrimental to the overall visibility of the main office. Secondly, individual practitioner listings are not bound to the business listing. The individual practitioner, according to Google, is the owner, not the business. Even if the owner initially paid to have the SEO work to create and verify the listing in the first place for example, the practitioner can leave the office and take the listing, along with all the reviews associated with it to another place of employment. Of course, if you are on the opposite side and you are a practitioner working in someone else’s office, then it might be in your best interest to encourage your clients to leave reviews on your verified listing, and not on the main business listing where you work at, in case you decide to leave. If the main business has many practitioners that specialize in different aspects of the business, then it could be a good idea to strengthen each individual listing, to help the company’s visibility for various search terms. For example, a law firm might have someone specializing in criminal law and someone else who specializes in family law. The reviews left on these listings would more than likely have these keywords mentioned a few times and so would help those listings rank for those more specific searches. Differentiating the main focus keywords of the listings will help the overall company be seen in more types of searches. However this might come at the expense of losing visibility on the main keyword. For example, targeting niches like ‘criminal law’ and ‘family law’, with your practitioner Google listings and reviews might see more traffic to those listings, but the main business listing presumable under the basic ‘lawyer’ category would probably be less visible. Hopefully in this case it is the owner’s practitioner listing that is up front, and not an employees. If the owner’s individual listing is outranking the business’, then this situation is not necessarily a problem. Just boost the profile that is already in the lead. However, you can always ask Google to merge the listings if you feel this is warranted for your overall marketing strategy. If the practitioner’s listing that is outranking the main business listing is one that can leave the business, then evaluation of the ranking situation is needed. If neither GMB listing is ranking in the top three pack for any of the target keywords, but a situation where the practitioner’s listing is #6 and the businesses’ is at spot #9, then it is probably best to work on the business listing to rank better. It is also possible to reduce the rank of the practitioner listing by removing information from the description and deselecting categories from the profile. However be careful here, as again, Google says that it is the individual who owns the practitioner listing, so you would need permission to make these changes. If the practitioner’s listing is ranked in the three pack already and is generating leads for the company, then reducing the visibility of that position would be detrimental to the business. Google will almost never show two listings from the same address anymore in the three pack at the same time (unless in a very small market), so it is best to leave the high ranking listing alone and just try to boost the lower one. Many times what happens is that Google will alternate the listing it shows if there are more than one located at the same address. When you see this happening between a practitioner and a business listing, then you can start to reduce the visibility of the practitioner listing (using the ideas above) so that only the business listing gets presented. Obviously there are many scenarios concerning practitioner listings, so it is important to do a full audit of the situation before any major changes are done to ensure the visibility of the overall business. If you have any questions regarding your own practitioner listing, or that of listings within your business, don’t hesitate to leave a question in the comment area or give me a call. I will be glad to help you clear up any confusion that you might have. 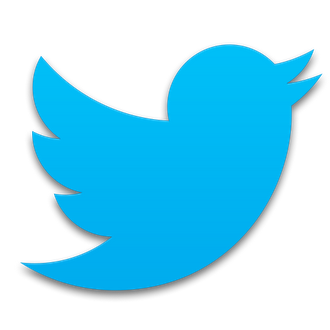 A direct message in Twitter is a message you can send to one user. It’s nice to be able to say thank you to people who follow you, but it can get tedious to do so if you have a lot of people following on a regular basis. Unfortunately Twitter doesn’t have an option to send an automatic message to new followers. For that you have to use third party tools. Many of those sites that do this will ask that you upgrade to a premium plan of some sort that will cost you money. You will need to signup for a free account at CrowdfireApp.com. It’s fairly simple. You can type a ‘Thank You for following’ message in that space provided. There are other options, like the ability to type different messages that will be randomly chosen as well. The only downside to thsi free automated direct message is that Crowdfire will append or add to your message its name, however this is not very intrusive and most people won’t really know that the message they receive is automated. It occurs often when doing the initial research on a client, that there are more than one Google My Business Listings for their business. Sometimes these duplicate listings are already being ‘managed’. But often there are old listings that have erroneous information associated with them. Before you make any changes, you should check to see the ranking of the Google My Business listing that you want to deal with. You wouldn’t want to delete or -mark as closed- a listing that is ranking well for your keywords. If you have two listings for the same address, make sure you know which one is the better one before you start with this process. If you have a listing that has wrong information, but shows the wrong address for example, then please continue reading, as I discuss that situation further in the article. The video linked below might also be helpful as well. Don’t Just Delete Duplicate Listings! Depending on the situation, sometimes its better to leave the duplicate listing while just marking it as closed, while other times it is better to just delete the listing completely. This is especially true if you have two listings that have ratings/reviews that you would like to keep. If a duplicate listing is verified, then you will be able to make changes to the information before marking it as closed. Go ahead and change the wrong information, whether it be the address or phone number for example. After you have made the appropriate changes, you can go ahead and mark the location as closed. This will result in your GMB manager showing two accounts for the same location. If you have any ratings associated with that duplicate listing, then you will need to call Google (yes, you can actually call and talk to someone about your GMB account!) and ask them to merge the listings into one. If you do not have any ratings or reviews for that second account, then you can go ahead and mark it as closed. It will still show up in your manager page, with a red bar saying it is closed. You can stop the process now if you would like, as you are pretty much done. Having a closed listing in your account makes no difference to your good listing. If the duplicate or old listing is not verified, then you can still deal with fortunately. I have created this video to walk you through the steps of dealing with wrong or old information on an unverified listing. As you can see, it is not really a big deal to remove an old listing. One thing I didn’t mention in the video however, is that I did not have any reviews associated with that old duplicate listing. That’s why there was no worries in deleting it. If you have reviews that you would like to keep, then the process would be similar, except at the end, instead of deleting the listing, you could give Google a call to merge the listings together. If your account has old listings or duplicate listings associated with it, please be careful before you start to make changes and I hope that this article has helped you see a few of the options that you can take to deal with those situations. If you have a messy GMB account, and you are unsure of how best to deal with this, don’t hesitate to leave a comment below. Like any small business, marketing your dental practice can be difficult, especially when your attention is pulled in so many directions. Dealing with your everyday responsibilities like taking care of your existing patients and managing your hygienists and receptionists, finding new patients through marketing can fall low on your list of priorities. But as we all know, good marketing can have huge payoffs. And being a good dentist, doesn’t necessarily mean that you are a good marketer. So, here are a few ideas that you might want to look through that might help spark an idea that will help you get a few more clients. “Welcome to the neighborhood” greeting cards—Lists of new homeowners are available from many sources, sometimes at a cost. Take advantage of these lists and send out a “Welcome to the Neighborhood” card to these new potential patients. Similar, are the ‘welcome wagon’ services that visit people who are new to town. Getting involved with your community—Patients are more likely to feel connected to a dentist they encounter outside of the dentist’s office. Sponsor local events, from charity events to school athletics, by buying advertising, donating items with your logo on them, setting up a booth, or just making your presence known. Start a blog—Don’t underestimate the power of a blog to connect with potential patients, to give them interesting information that’s relevant to their lives. 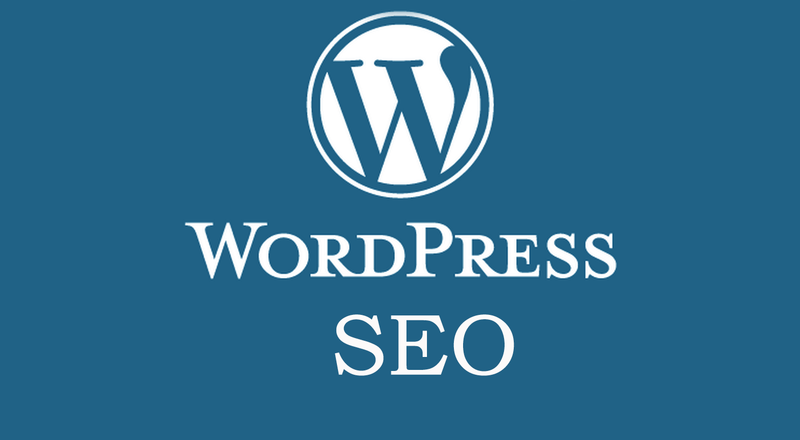 SEO friendliness—Make sure that your website is heightened with SEO content. SEO content drives people to your page by listing it higher in search engines. Offer free or discounted exams/cleanings/whitening—Everyone loves a deal, but do your research first. Make sure you’re not offering the same incentives as every other practice in town. Your advertised specials should be different enough to catch patients’ attention. Offer a pre-pay 5% bookkeeping discount—Discounts always attract patients, and this one has an added bonus in that patients will be more likely to keep an appointment if they’ve prepaid. Engage on social media—Social media is a must in today’s society. From Facebook to Twitter to Instagram to Pinterest, social media platforms offer unique and engaging ways for your dental practice to interact with patients. Make sure the content is interesting and relevant. Quotes and humor usually work well, but whatever it is, try to make it something readers will want to share. Advertise in the local flyers and newspapers—Although people won’t be looking for an add on a flyer everyday to choose a dentist, if you are consistent with your marketing, eventually week after week, your logo and practice name will soak into the reader’s mind. When comes time that they need a new dentist, your name will be familiar to them and you’ll have a good chance of acquiring them. Facebook marketing—What’s the best place to remind people they’ve been to your practice and need to book an appointment, or read reviews about your practice? Facebook. If you get 2,000 clicks per month to your website, you can re-target the Facebook ads to drive incredibly cheap, targeted clicks to your site. Create cross-referral alliances—Forming cross-referral alliances with other doctors and businesses in the area can be a great way to find new patients. Make sure it’s a doctor or you’re comfortable sending people to or this strategy could backfire. Send a monthly e-newsletter—Keep in contact with current and potential patients by sending out a monthly e-newsletter with dental tips, new technologies and information, and maybe something “fun.” E-newsletters work as a gentle reminder to make your next appointment without being pushy or overt in the call to action. Grow and manage patient testimonials and reviews—Reviews are steadily becoming more important as new patients conduct online searches to find a new dentist in their area. Kindly ask patients to write reviews on sites such as Google and Yelp and make sure to respond to reviews, whether good or bad. Optimize your website for mobile—A lot of people search for local services, including dentists, from their phones or tablets instead of a traditional computer. Make sure your website is optimized for these devices so that it is easy to navigate and gather information, no matter how a potential patient accesses it. Develop a referral incentive program—Incentivize current patients to refer their friends and family to your practice with discounts on future services, gift cards, or special prizes. Be an expert—Patients want to know they’re in good hands. By writing occasional articles for magazines or newspapers and then featuring them on your website and in your office, you give patients a sense that you’re an expert in your field, which builds confidence in your abilities. Identify and engage your target audience—You can’t reach everyone, everywhere. But you can decide who your target audience is and find unique ways to reach them. Use videos to market your practice—There’s no doubt about it: videos are more engaging than plain text. Speak to potential patients by posting a well-made video on your website, which maybe features a tour of your office. Visuals tend to work better than other marketing schemes. Use a unique and consistent logo and tagline—This may sound obvious, but consistent and attractive branding is one of the most important elements involved in gaining new patients. It will create brand recognition and a sense of awareness among your patients and any new clientele. Always have a call to action—Don’t forget to put a call to action and phone number at the bottom of every page of your website and on every piece of marketing material! Market results, not services—No one is spurred into action by hearing about having cavities filled or getting a cleaning. They’re inspired to call your practice by remembering they want a beautiful smile, white teeth, and a healthy mouth. Remember the message, and wait for the calls to come rolling in. Pay Per Click (PPC)— PPC advertising is a great way to get the most from your marketing plan. These purchased advertisements help develop a clientele and recruit new traffic based on paid placement on a search engine. It targets consumers based on their searches, and leaves you in a position to attract new people to your page. One of the most important things is to be consistent and measure your results. The easiest way is to get your front line people answering the phone to make sure that they ask the referrer when a new client has called. That’s what makes online marketing so powerful, is that is it highly measurable so you can determine your ROI. Obviously this is just a quick rundown of marketing activities that a dental practice can initiate. The details of any marketing effort are what matter most however. If you have any questions concerning your dental practice’s online presence, feel free to give me a call or email and I will be glad to help. It seems daunting, you are starting out your new Twitter account and you see others that have thousands of followers. Don’t get down, there’s a way to kickstart your account. You can always find those certain accounts, mosly automated bots that will follow whomever follows them. This might be ok for you if you are just looking for numbers. But they won’t help you very much if you actually want people to look at what you are posting. For that you will need to find regular Twitter users, plus, it would be great if they were interested in you posts as well. Well here is a fairly quick and easy way to start your account going to get real targeted people to follow you. Follow people in that list that is generated. Max 100 per day. Many of those people will follow you back. After a week or so, unfollow those people who did not follow you so that your follow percentage is not too high. It only takes a few minutes, and after a few weeks of doing this everyday, you will have a few hundred real targeted followers following your account.